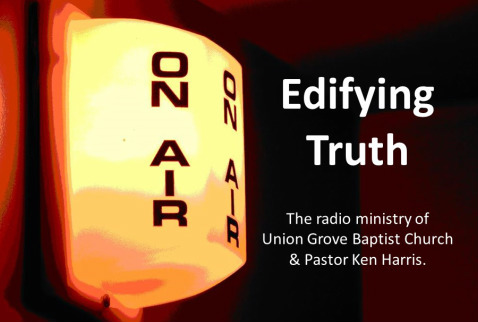 EDIFYING TRUTH, formerly the UNION GROVE GOSPEL HOUR, is the radio ministry of Union Grove Baptist Church and Pastor Ken Harris. Listen online or on the radio at the times listed below. Please Scroll Down To Listen To "Edifying Truth" Radio Programs. You can listen to Pastor Harris at these times on the radio.